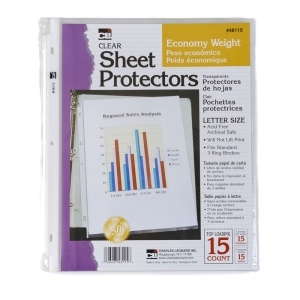 These pockets seal at end and remove easily from desk. Self-adhesive and heavy duty. 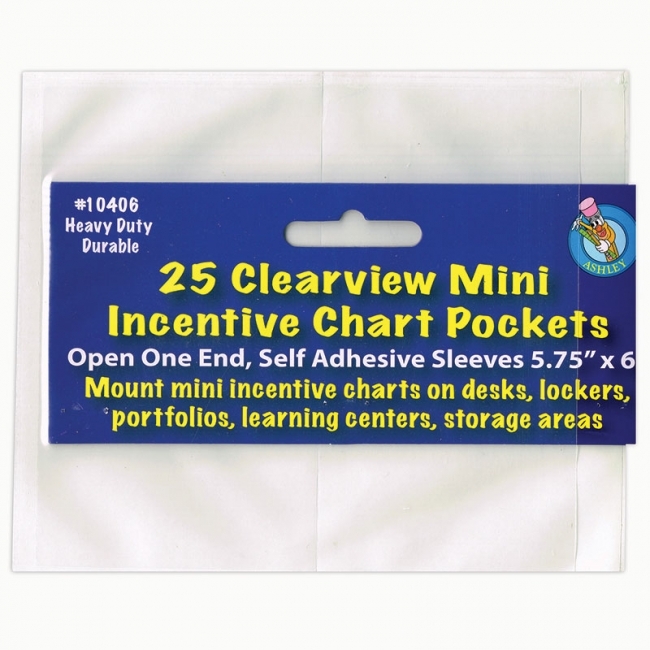 Open pocket, slip in chart, remove backing, position pocket and stick! Each pocket measures 6" tall by 7" wide. 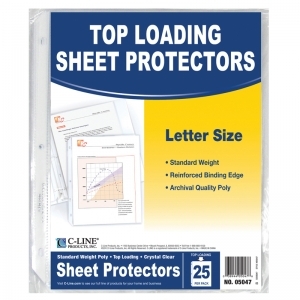 Each pack includes 25 pockets. 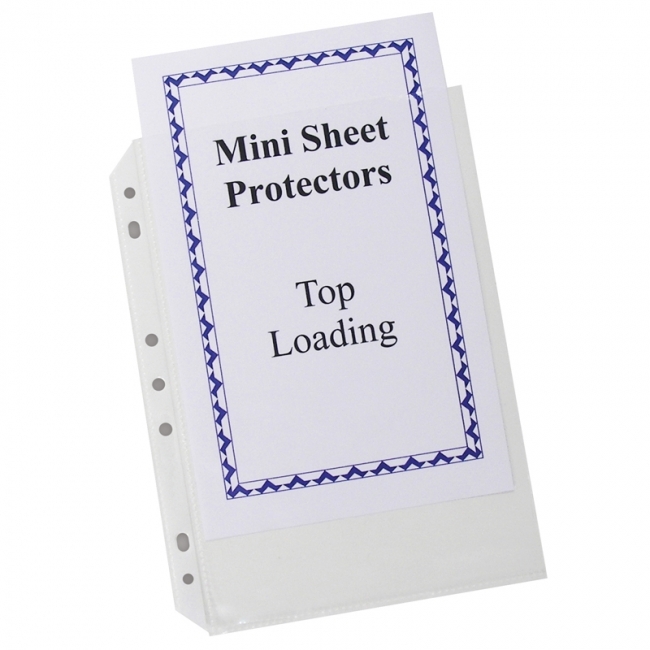 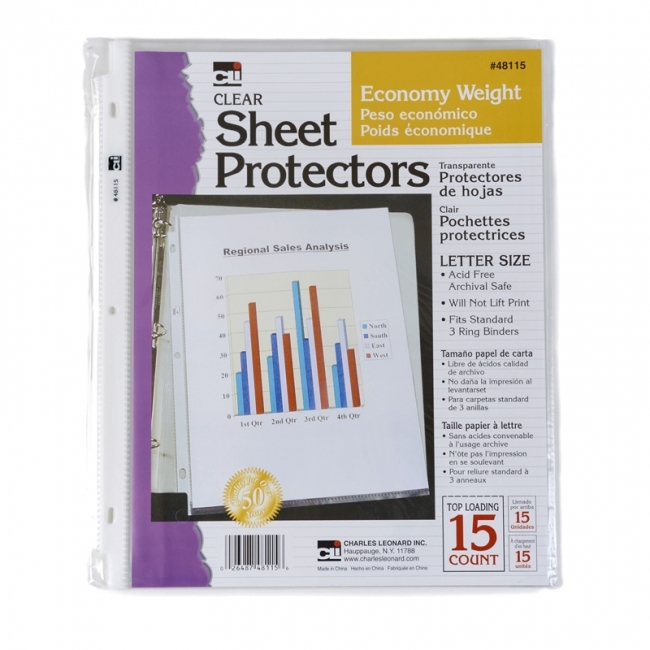 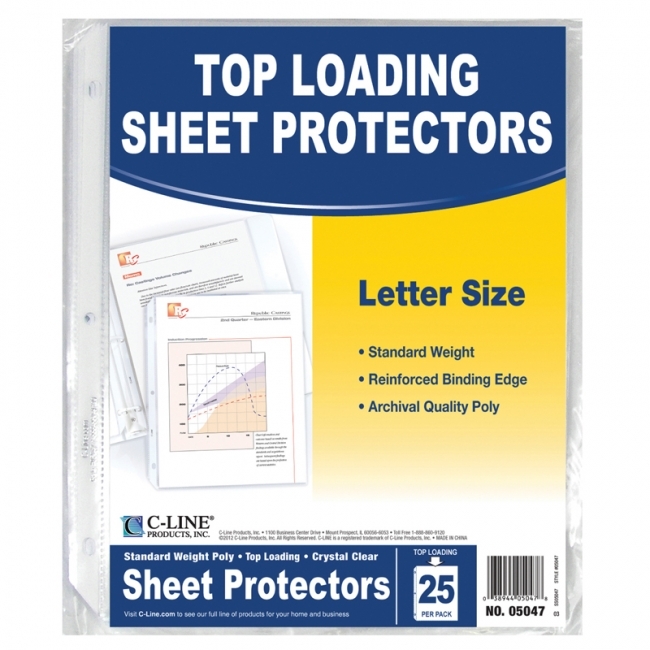 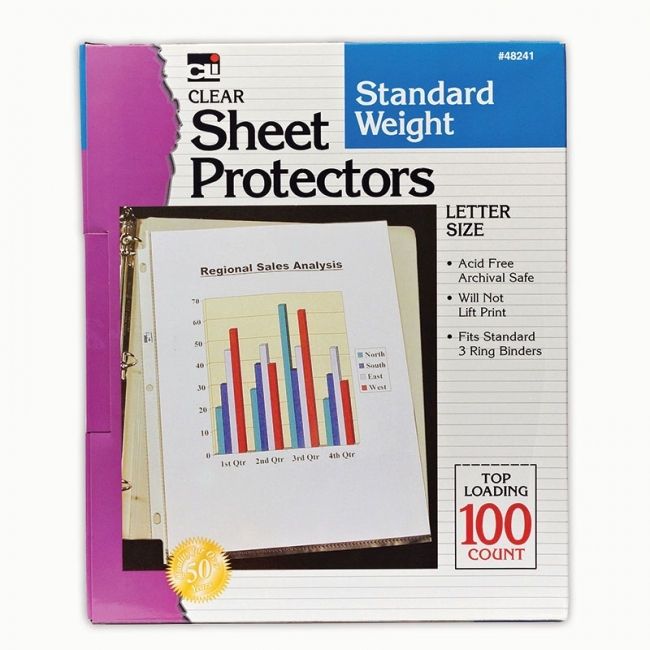 Top loading polypropylene sheet protectors provide archival quality protection for permanent storage of your materials. 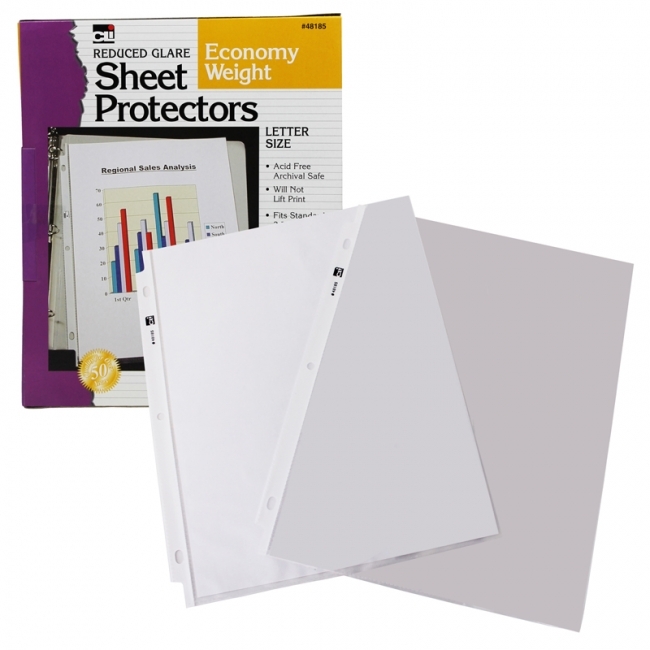 No sheet punching is necessary so documents remain in their original condition. 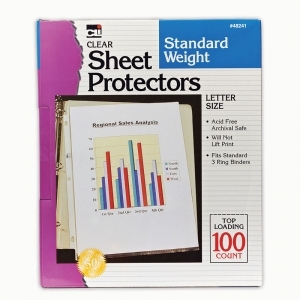 Will not lift print. 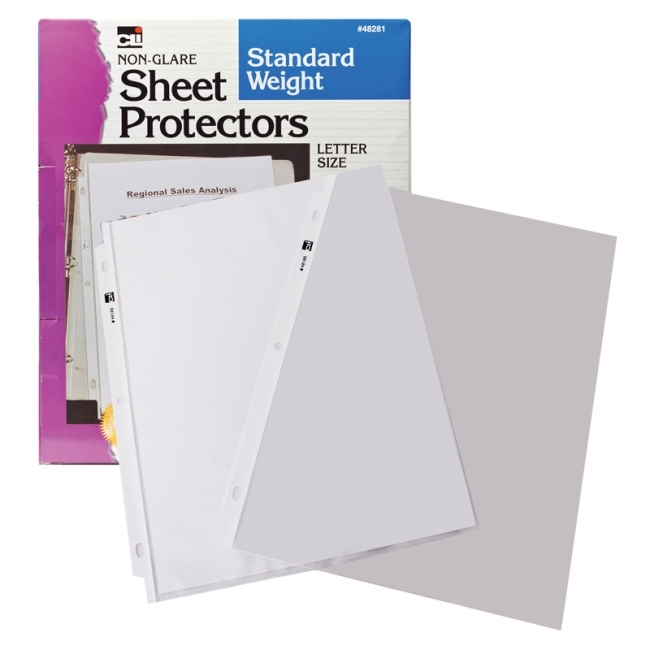 8 1 2" x 11". 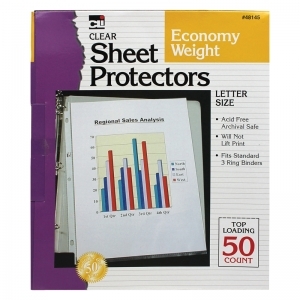 50 per box. Smaller size with large organizational benefits. 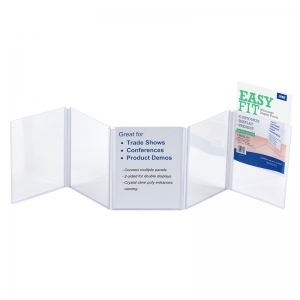 Stylish on-the-go organization for items or documents up to 5 1/2 x 8 1/2 in size. 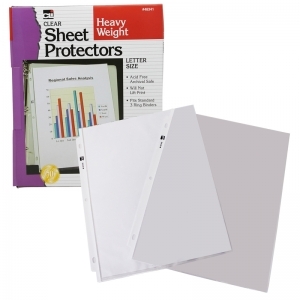 Made from durable, heavyweight polypropylene. Acid-free, archival quality eliminates photocopy transfer. Universally punched to fit in standard 5 1/2 x 8 1/2, 6 x 9 and 8 1/2 x 11 binder. 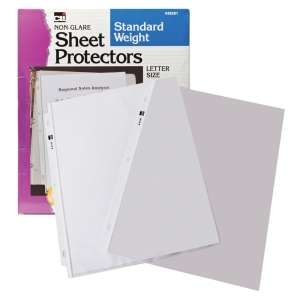 Clear finish. 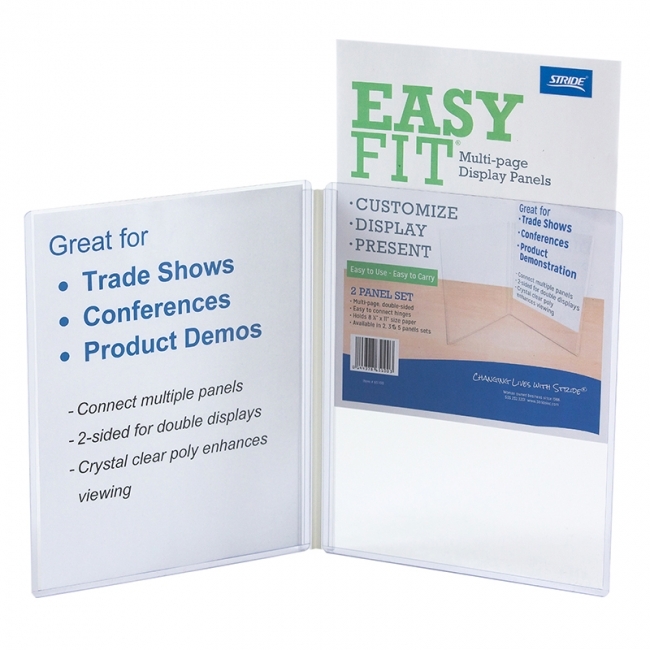 EasyFit Display Panel, double-sided clear document display holder, customizable to needed length. Portable, durable and great for displaying pertinent information in an upright manner at shows, offices and homes. Folds easily for storing and travel.